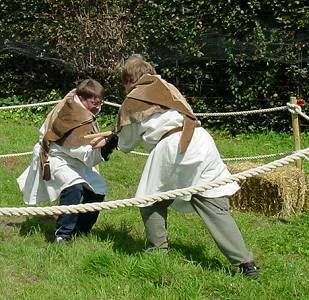 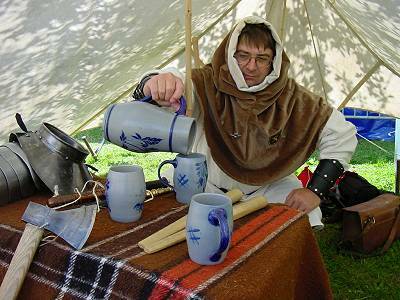 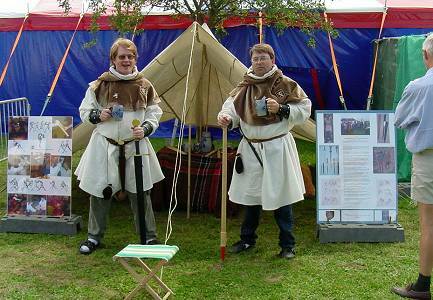 During the 2001 Midsummer festival in Wambeek, the Dragon Preservation Society held an educational stand with information on the oldest history of the town. 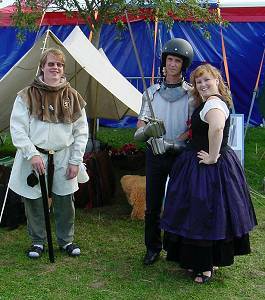 Visitors also had the opportunity to try on some replica armour parts, and to handle realistic replicas of historical weapons. 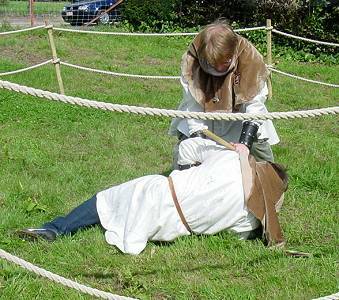 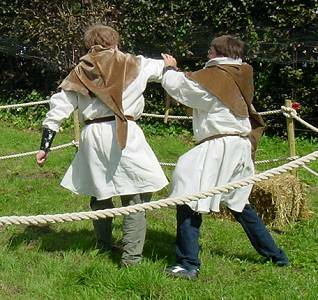 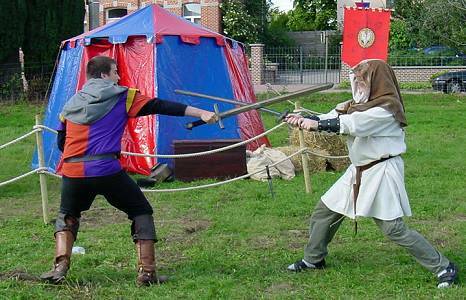 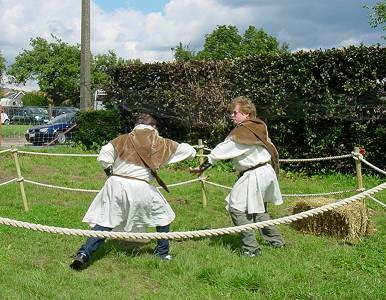 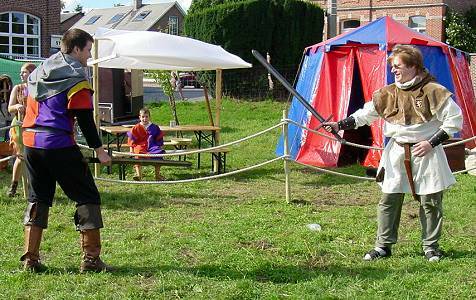 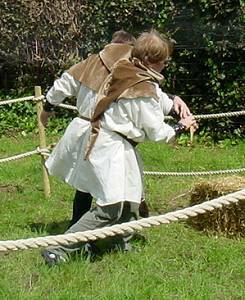 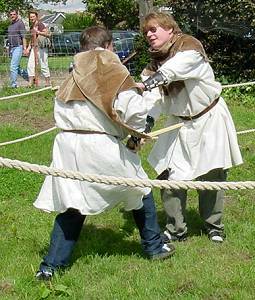 Other groups had organised a falconry demonstration, archery contest, sparring games with latex weapons, and musical and other performances.